Raith Rovers – Wright, Watson, Flanagan [Valentine 88], Murray, Benedictus, Gillespie, Buchanan [Milne 74], Matthews, Wedderburn [b64], Nisbet and McKay. Subs not used – Trialist, Stevenson and Berry. This was the first league encounter between the teams since 2003 when the Warriors won through a solitary goal from a Jay Stein penalty. A penalty award in this game was also to have a big say in the final outcome of the match. This was the first time that Raith Rovers had played on the new artificial surface and after playing their Betfred Cup ties at Bayview there was a healthy support to welcome their homecoming. The Warriors were determined to spoil their party and show that they were not just there to make up the numbers. The first time that either keeper was called into action being the 5th minute when a Sean Dickson shot through a crowd of players was saved by Kieran Wright. 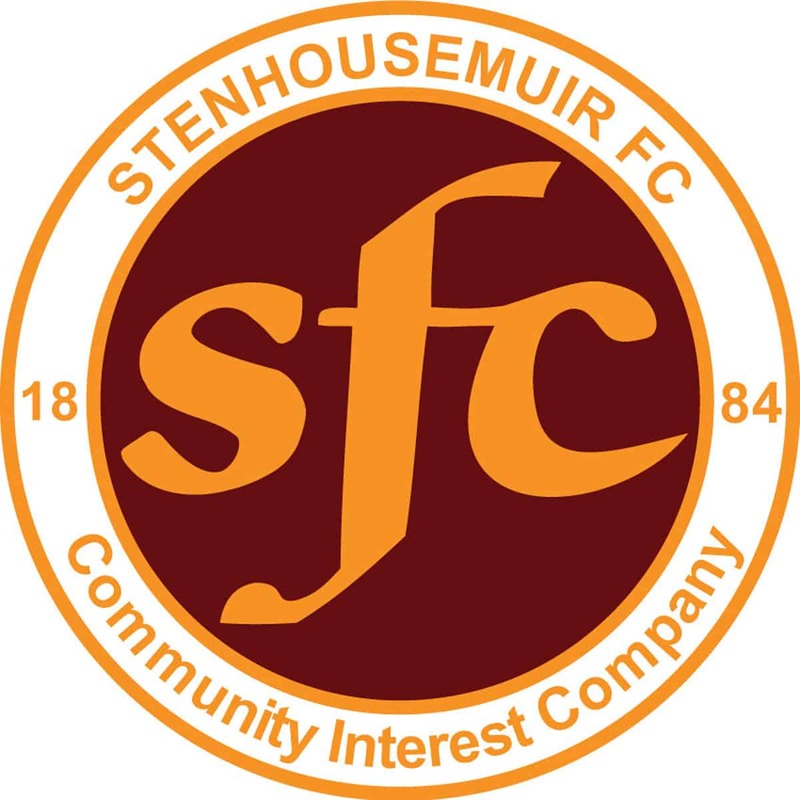 In the first quarter of the game the home side had plenty possession but they were unable to breakthrough a resolute Stenhousemuir defence and most of the attacks were thwarted in the final third of the pitch, That was all to change however in the 24th minute. Raith showed clever interplay between Kevin Nisbet and Nathan Flanagan with the former being tackled by Sean Dickson in the box. Although it looked as if the Warrior had won the ball and Raith appeared to be claiming for a corner the referee decided otherwise and to the astonishment of the Warriors players and management awarded a penalty kick. Nisbet stepped forward and planted the ball into the net. Four minutes later there was a chance at the other end when Colin McMenamin timed his run well to elude his marker and get a header on target but he will feel that he should have scored rather than seeing the ball saved by Wright. In the 37th minute Alan Cook turned defence into attack and following a long run his cross come shot clipped the crossbar and Connor Duthie fired the rebound over the bar. There was a chance to reduce the deficit in the 81st minute but Bobby Vaughan headed a Cook cross wide with the goal gaping. That miss though was topped by Raith sub Lewis Milne in the 85th minute when he struck the bar after creating a clear opening for himself. Raith were the stronger team towards the end but when the final whistle blew there was disappointment in the Stenhousemuir ranks as they felt they had did enough to get something out of the game.